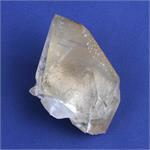 Mineral Properties: Stellar Beam Calcite is a calcium carbonate mineral with a scalenohedral form. Crystal Healing: Stellar Beam Calcites are very powerful for stimulating the third eye and crown chakras, and they align these chakras with the higher etheric body, making possible an ascension into higher realms of consciousness. They stimulate remembrance of the individual’s experiences in the pre-birth state of full immersion in Spirit, and they assist in the recollection of past lives. 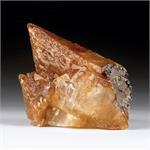 Stellar Beam Calcites can also help one establish contact with extraterrestrial intelligences in meditation or dreams.